In a case where you wish to leave your plan in unequal shares to different people, it’s best to name your estate as the beneficiary. You then need to leave instructions in your will as to how your executor should divvy up the assets. Note: Naming beneficiaries in your will is not ideal. Your assets would fall into your estate, resulting in probate fees in most provinces. Then again, designating the beneficiary directly on the RRSP or RRIF application can sometimes also have unintended results. Suppose that a tax bill is triggered when you pass away owning a registered plan. The designated beneficiary on your plan will receive all the assets of the plan before any tax is deducted and remitted to the Canada Revenue Agency. The taxes will be paid out of the remaining assets of the estate possibly short changing another beneficiary of the estate when the tax bill is paid out of their inheritance. This may not be fair, and may not have been your intention. The problem can be solved by naming your estate as the beneficiary of your plan, causing all the beneficiaries of the estate to share the tax burden. It’s also possible for your executor to have some of your registered plan assets taxed in your hands upon your death, even if you’ve named your spouse or a qualifying dependent child as beneficiary. Your executor might choose to do this, for example, if you die early in the year, and therefore have little income in your year of death, but have personal tax credits, losses or other deductions available in your year of death to offset some of that taxable RRSP income. 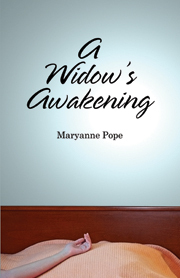 I’ll have more RRSP and tax information posted soon, so please revisit Widowed.ca frequently for the most current blog. We’re here to help you take control of the future and move to the next Chapter of your life. Should you have questions you’d like to see addressed in a future blog, please e-mail me at: jennifer@widowed.ca.